It must have seemed really strange. Honestly, it still does. Two thousand years of waiting for the Messiah, and He is born in a barn and laid in a feed trough. The merchant shops of modern Bethlehem make use of the town’s famous event by selling mass-produced olive wood nativity sets and Christmas paraphernalia. Not even in Bethlehem can we escape the commercialism of Christmas. Here the modern traveler can exchange Christmas shopping for the Christmas story. No olive wood sets . . . just olive trees. No merchants hawking trinkets . . . just some local children holding lambs in their arms. This rocky meadow represents the likely location of the angel’s announcement to the shepherds that first Christmas night. Born to Shepherd. Born to Die as a Lamb. These words gave a glimpse of what salvation would cost: the Babe in the manger would become the final sacrificial Lamb (Luke 2:11-12; John 1:29). Jesus—just like the flocks the shepherds pastured that night—was born to die in Jerusalem, only five miles up the road from Bethlehem. Why would the Lord first announce the Messiah’s birth to lowly shepherds? Why would Jesus’ birth story begin in a barn? God choose such an ignoble beginning for such an important birth, perhaps for the same reason He would choose such an ignoble death for such an exemplary life. Because God had you in mind. The Lord knew that we—lowly sinners—needed a Savior. Jesus came to the lowly, lived a humble life, and died an ignoble death. All so that we could have our sins forgiven by faith in Him. And so that we could live forever in glory. With no more manure. Question: When’s the last time you were in a barn? What does the crudity of Jesus’ birth story teach you? 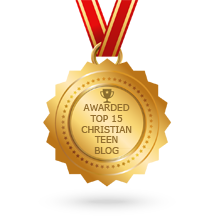 This entry was posted in A CLICK A BLESSING TODAY, BIBLE LANDS, CHRISTIAN LIFE AND THE WORD, CHRISTIAN TAGALOG BLOGS, CHRISTIAN TEENS BLOGS and tagged Bethlehem, Christmas, Devotional, Jesus Tab, relationship with God, salvation, Wayne Stiles. Bookmark the permalink. >> When’s the last time you were in a barn? >> What does the crudity of Jesus’ birth story teach you? I haven’t been in a barn since we sold our sugar cane farm, but it was the very last place I would choose for the birth of a child. When I think of the Son of God (God Himself) leaving the glories of heaven to come to this corrupt world, I stand amazed. Absolute perfection, surrounded by evil! When I think of the Son of God going even further, to actually become the very antithesis of His perfection — for me! — I am overcome. He, the King of kings and Lord of lords, absolute perfection, took my sin upon Himself, paying my penalty, and He gave me His righteousness! What an incredibly amazing Saviour!